Are you looking for something that will give you the thrill of driving while still having space and being safe for you and your family? Then look no further than the 2016 Mercedes-Benz C-Class Sedan! The C 300 comes equipped with 241 horsepower, with its turbo it will get you up and going quickly, without sacrificing on your fuel efficiency. With the state-of-the-art direct injection and multispark ignition, the C 300’s engine is rated for 34 highway miles per gallon. In the C 450, an AMG®-enhanced biturbo V-6 shells out 362 horsepower! We understand that sometimes you want to let your car roar and other times you are more concerned with comfort. Dynamic selects allows you to set your cars’ characteristic to match your mood. Eco, comfort, sport and sport+ affect the vehicle’s shift points, throttle mapping, steering, and ECO start and stop system. With Mercedes-Benz collision prevention assist, radar is constantly used to monitor the vehicles and traffic ahead of the C-Class Sedan. In the instance that you are driving behind a slower vehicle and closing in too quickly, the collision prevention will alert you to hit the brakes, and can even begin braking for you to try and avoid a collision. There are also radars aimed back at you, the driver. These are part of the attention assist feature that alerts you if you seem to be getting drowsy and at risk of falling asleep. Are you ready to test drive a C-Class? 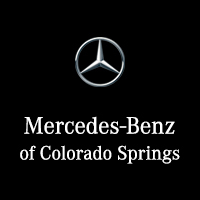 Visit Mercedes-Benz of Colorado Springs and see how the Sedan can move you!